What separates elite athletes from the rest? Many talented athletes never lived up to their potential. All the technical skills in the world will not help if you are unable to perform those skills in the heat of competition. There are many examples in sports where less athletic athletes became elite, and physically gifted athletes failed to succeed. So what is the special ingredient that produces elite athletic performances? The biggest contributor to elite performances is mindset after all the training and talent is baked in. Mindset is your mental outlook and how it helps or hinders your performance in competition. Some gifted athletes rely on their natural abilities. These athletes believe they can flip the switch and magically perform their best against tough competition. Sometimes these gifted athletes can pull off a high-level performance against top competition, but these athletes rarely perform at a high level on a consistent basis. Furthermore, athletes that merely rely on their natural ability tend to under perform against lesser ranked opponents. Athletes that think natural ability is good enough will fall well short of their potential. On the other hand, an elite athlete has the ‘next level’ mindset. 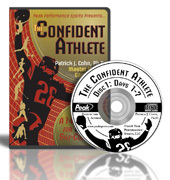 Elite athletes constantly look to challenge themselves on a daily basis. 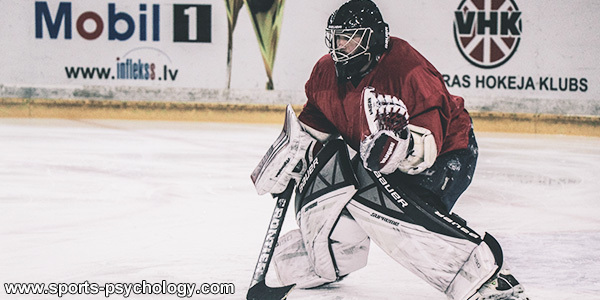 Of course elite athletes have talent, but these athletes work to improve their skills daily. Elite athletes push themselves during each practice, pay attention to the little things on a consistent basis and continually focus on positive work habits. All these factors help elite athlete consistently perform at a high level. Henrik Lundqvist, goaltender for the New York Rangers, knows, if he is to be his best, it all starts with an effective mentality. Lundqvist was a seventh-round draft pick back in 2000 but due to his next level mentality, he has become the all-time winningest goaltender in Rangers history and one of the best goaltenders in the NHL for a number of years. Lundqvist’s ‘next level’ mindset has proved to be an invaluable mental skill and key factor in both his longevity and consistency. By having a ‘next level’ mindset, you will continually challenge yourself, hone your skills and improve your game… And that is what makes being an athlete FUN! To improve your mental game, study the habits of top performers. How do they approach competition? How do they warm up? How do those top athletes respond after a competition? How do they deal with defeat? How can you be a more consistent performer if you changed your mindset? Do you need to improve your preparation, practice efficiency, how you mentally prepare, how you respond to mistakes, or how you respond to failure? Pick one area of your mental game to work on and go after the next level of your performance.